Total existing-home sales were up 1.7 percent month-over-month and 6.0 percent year-over-year. 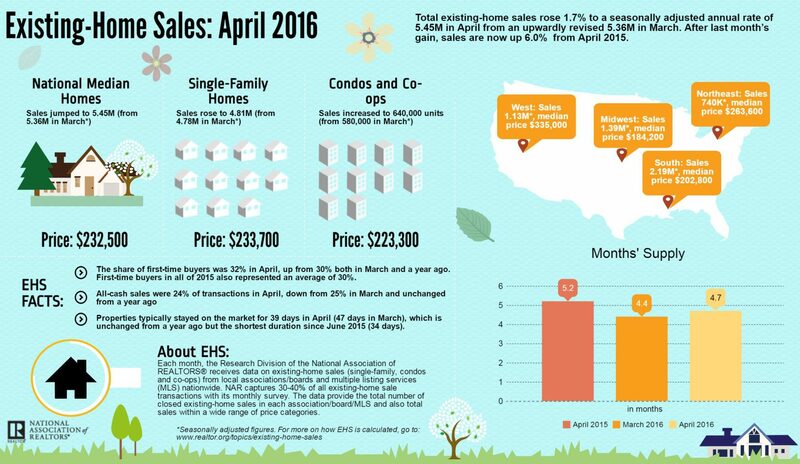 The median existing-home price for all housing types in April was $232,500, up 6.3 percent from April 2015 ($218,700). Total housing inventory at the end of April increased 9.2 percent to 2.14 million existing homes available for sale, down 3.6 percent year-over-year (2.22 million). 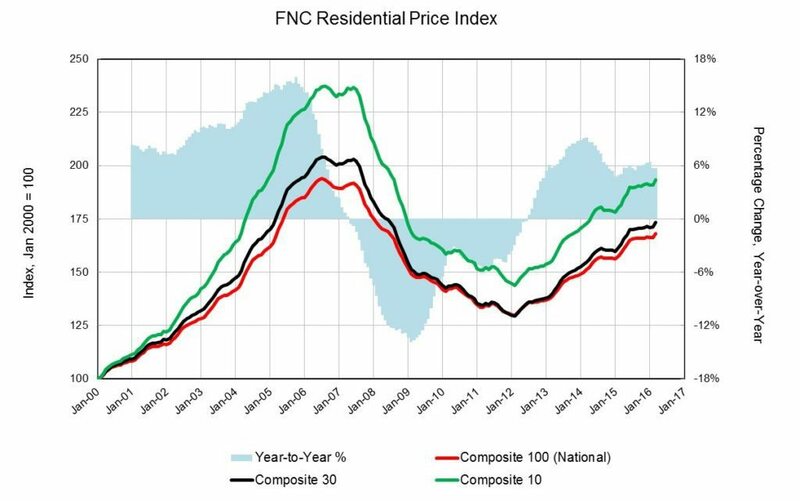 Builder confidence in the market for newly-built single-family homes remained unchanged in May at a level of 58 on the HMI. Builder confidence has been at 58 for four months straight. The HMI components measuring sales expectations in the next six months increased three points to 65, while the component charting current sales conditions and the index gauging buyer traffic both held steady at 63 and 44, respectively. Home prices are up 1.0 percent in March 2016 from February 2016. Year-over-year basis, prices are up 5.7 percent from a year ago. Throughout the first quarter, home prices were up 0.4 percent from the previous quarter.